EN: I Think you all know about shieinside.com. I access this site everyday and I look after new goodies. My favourite item is this gorgeous cheap coat , only 45 $. I want it soooo badly! Anyway, I made for you some collages with lovely items. Hope you will enjoy it! RO: Cred că toata lumea știe de sheinside.com. Intru zilnic pe acest sitte si mă uit după noi bunătăți. Produsul meu favorit de pe site este acest paltonaș, la doar 45 $. Îl vreau atât de mult! Oricum, am făcut pentru voi câteva colaje cu produse drăguțe. Sper să vă placă! Nice items! I love them all! The white coat it is amazing! Those coats are gorgeous! So much cheaper than the ones in Zara too! Nice white coat and necklace. love coat no.1 ! its soo cool! I love the navy trench!! Kisses from Sonia!! la verdad es que de abrigos me gustan todos!!!! y de los collares el ultimo!!! 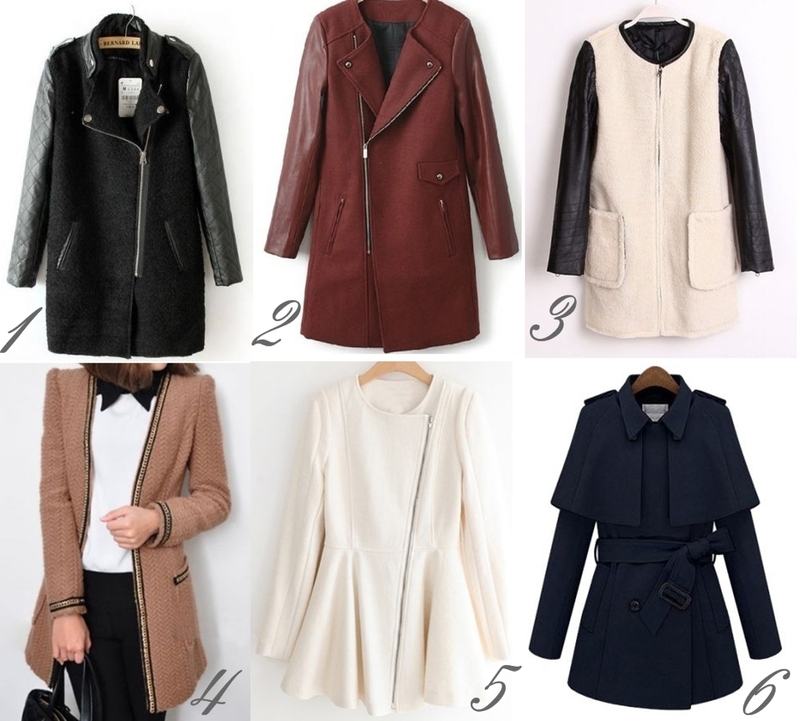 Loved the coat at number 6! so cool! want it! badly! I love your blog! Thanks for visiting! Clearly, I will follow you! Your blog is amazing, would you like to follow each other? Great choice. It would be really great if I own every pieces of that! Thank you so much for your selection. I love that first coat, so pretty. Interesting blog. Welcome to http://filmandotherstories.blogspot.se/. That coat really is cool! And so inexpensive, sheinside.com really is a great site to shop! 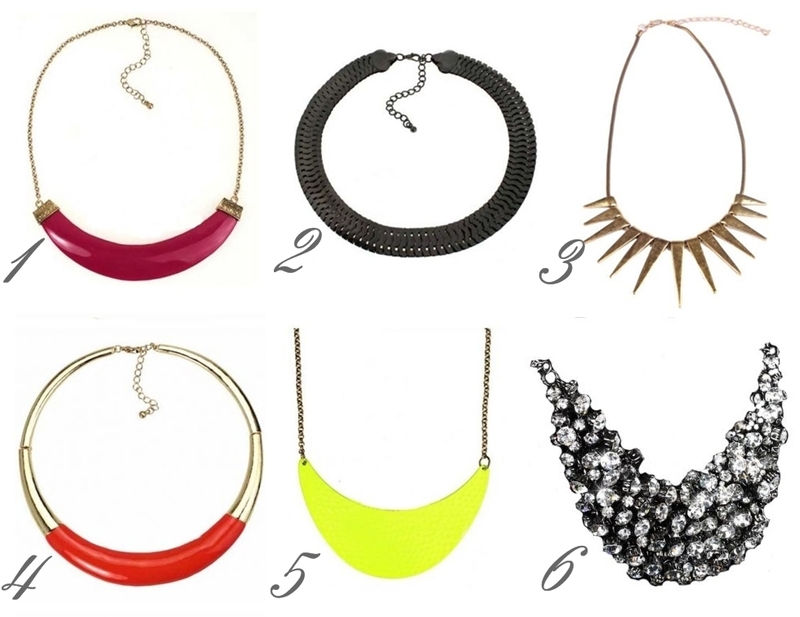 I really like every one of those necklaces!! Love that first jacket! Such a fun one! I haven't bought from sheinside yet...but I really cannot wait to purchase. I hear the service is good! They all looks amazing! I like both number 6 the most...my style. Those first two coats are really beautiful. Love the coat no. 1 and 2 !! Gorgeous accessories ! Number 4 is definitely my style!! great selection! happy to follow your lovely blog! totally agree wit u girl! its gorgeous and i cant pick one all are so good!! Loved all the coats and necklaces!! I love the 6th coat, it's gorgeous! I actually just found out about this site not too long ago, however I havent ordered anything from this site but I plan too! Love love these jackets, the first is my favorite ! CREATE VALENTINE'S DAY LOOK AND WIN $50! Приглашаю Вас принять участие в конкурсе, который я провожу совместно с магазином одежды CHICNOVA. I'm inviting you to enter the giveaway on my blog. You can win 80$ voucher. I love that last black coat!